COLUMBUS, Ohio (AP) — An Ohio man said Wednesday he was stunned to learn of allegations that his wife’s hospital death last year was caused by a doctor’s order for a fatal dose of pain medication. David Austin said he called an ambulance in September after his wife, Bonnie Austin, had trouble breathing. A doctor told him she was brain dead after she suffered cardiac arrest. Austin felt “like somebody kicked me in the chest” when he was told this month of the alleged circumstances of the death of his wife of 36 years. At least three wrongful death lawsuits have now been filed against Dr. William Husel, the Columbus-area Mount Carmel Health System, and nurses and pharmacists employed by the system. The lawsuits accused the doctor of ordering that near-death hospital patients get potentially fatal doses of pain medicine without their families’ knowledge. 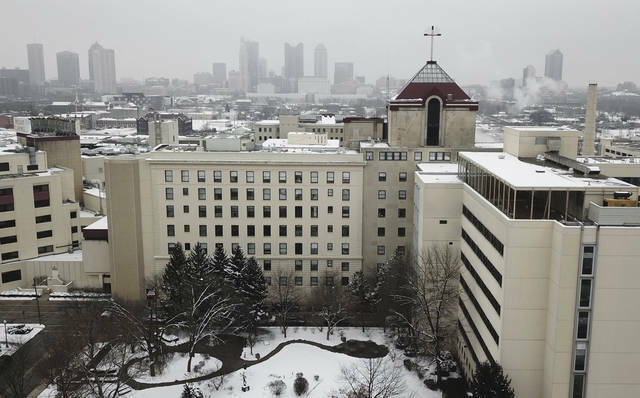 Mount Carmel announced this week that the intensive care doctor ordered pain medicine for at least 27 patients in dosages significantly bigger than necessary to provide comfort for them after their families asked that lifesaving measures be stopped. 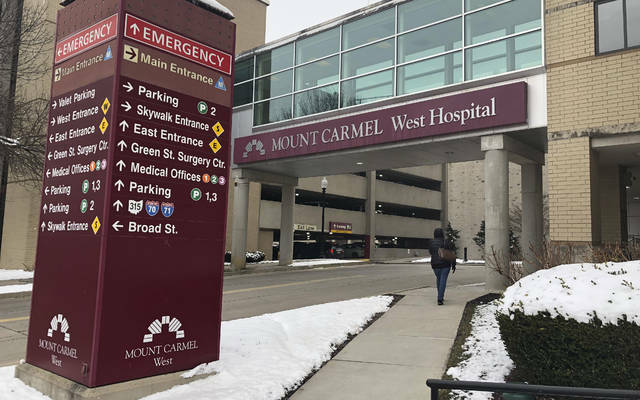 Mount Carmel publicly apologized and said it has fired Husel, reported findings of its internal investigation to authorities and removed 20 employees from patient care pending further review. Attorney James McGovern confirmed his firm is representing Husel, but he said both the firm and Husel had no comment on the allegations. The announcement involving patients from the past few years raised questions about whether drugs were used to hasten deaths intentionally and possibly illegally. A lawsuit filed by David Austin on Tuesday alleges his wife, 64, was killed negligently or intentionally in September when she was given an outsize dose of the painkiller fentanyl and a powerful sedative ordered by a doctor who said she was brain-dead. Austin, a retired trucker in Columbus, said Wednesday he filed the lawsuit in the hopes nothing like this would happen again. He spoke emotionally of his late wife, a waitress, who he married in 1982 just three months after meeting her. Austin, also 64, said he’s struggling to understand the doctor’s alleged actions. “I have no idea why anybody would do that,” he said. Medical records indicate the drugs were administered before her husband decided to withdraw life support, said attorney David Shroyer, who represents the family. Their lawsuit was filed against Husel, the health system, a pharmacist who approved the drugs and a nurse who administered them. The lawsuit, which seeks financial damages, is aimed at determining what happened and why, and ensuring it’s not repeated, Shroyer said. Mount Carmel said it wants that, too. “We’re doing everything to understand how this happened and what we need to do to ensure that it never happens again,” system President and CEO Ed Lamb said in a video statement . 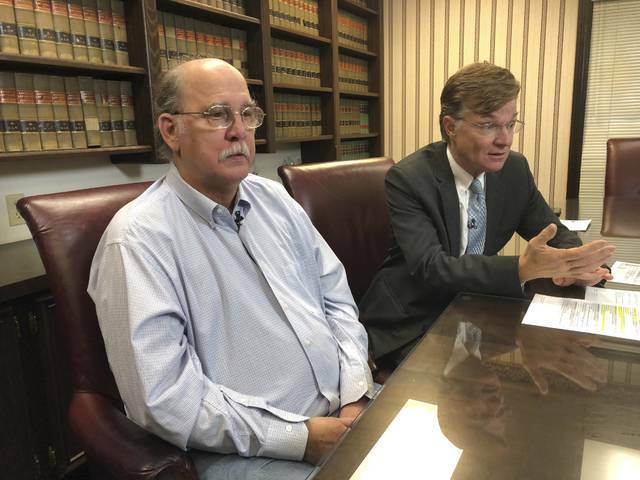 A third lawsuit alleges that 44-year-old Troy Allison died on July 15 after receiving “a grossly inappropriate dose” of pain medicine, according to attorney Craig Tuttle, who confirmed the Wednesday filing in Franklin County Court. Allison went to the hospital July 14 with shortness of breath, believed to be related to sepsis, which then caused heart failure, Tuttle said. Sepsis is a life-threatening condition triggered by the body’s response to an infection. The hospital told Allison’s wife that he received a lethal dose of morphine, Tuttle said. The Franklin County prosecutor said Mount Carmel has cooperated with an ongoing investigation. Records show the State Medical Board in Ohio has never taken disciplinary action against Husel. It’s unclear whether that board ever received a complaint or conducted an investigation about him, as such records are confidential and outcomes are public only if the board takes formal action. Shroyer said he expects the case will prompt other hospitals to review their own procedures and safeguards. “I think every hospital in the country is going to be saying, ‘Could this happen at our hospital? And if it can, let’s fix it,’” he said. Associated Press Writer John Seewer in Toledo contributed to this report. Follow Franko on Twitter at http://www.twitter.com/kantele10 . Have a tip? Contact the author securely at https://www.ap.org/tips . The Annual Whitewashing of Martin Luther King Jr.
Every year I ask myself questions about the shameful exploitation of Martin Luther King Jr.—why do Americans love to disgrace his message so much? Why is it so popular that we see it year after year? Remember last year? Trump was talking about “(bleep) countries” while tweeting “I encourage all Americans to observe this day with appropriate civic, community, and service activities in honor of Dr. King’s life and legacy.” What is to stop longtime racists like Rep. Steve King from copying and pasting a quick quote into their twitter feeds? Last year he posted: “Ive been to the mountain top. And I’ve seen the promised land. …we, as a people, will get to the promised land.” And yet his long list of racially offensive comments and associations with avowed white nationalists, recently published in the New York Times, reveal his use of Dr. King’s words to be a snide mockery. Of course the GOP has recently (finally) taken a moment to be critical of Steve King’s flagrant white supremacy in 2019, but they still refuse to comment on the same racist behavior from President Trump. Minority leader Kevin McCarthy said about King’s outlandish comments defending white nationalism, “That is not the party of Lincoln and it’s definitely not American.” Great. Now how about Trump’s longtime racism? Trump’s “My Kevin” (Trump’s nickname for him when McCarthy was House Majority Leader) doesn’t get this, hence more MLK Day whitewashing. His message was his life, and justice was not an accessory. Trying to score some easy political points by pretending to condemn racism for a second fails the larger picture. “It is not enough to say we must not wage war. It is necessary to love peace and sacrifice for it.” In a country with too many warmongers, “the ultimate measure of a man is not where he stands in moments of comfort and convenience, but where he stands at times of challenge and controversy.” Leaders who’ve sacrificed are rare, the pronouncements we hear are for expedience, and we see those making empty declarations simply don’t measure up. The failures are not just at the level of leadership. As citizens MLK provided us with clear guidance: “what are you doing for others?” “Change,” he told us, “comes from continuous struggle.” Are we living up to these instructions? “The Dream” is not a feel-good story. It is the story of resistance and struggle. This is why few things could be more offensive than sanitizing his words and using them with the intention of pacifying the oppressed. MLK spoke to defend those who demanded equal pay and equal access—people were tired of being pushed around. Forget the “our party freed the slaves” and think about the ongoing need for dignity and equality. MLK died in solidarity with sanitation workers—maybe you can stick up for those furloughed or out of work in a racist and classist political stunt. We’ve got to get past the sentimentality. When MLK spoke to us he pressured us to look deeper and bigger. “True compassion is more than flinging a coin to a beggar. It comes to see that an edifice which produces beggars needs restructuring.” The gap between the rich and the poor is only growing, and trillion-dollar tax giveaways to the rich are not helping. “The war in Vietnam is but a symptom of a far deeper malady within the American spirit,” and his observance of our ubiquitous engagement in violent conflict continued that it would not end until “there is a significant and profound change in American life and policy.” So, finding quotes is easy, but this last one is key: “Our only hope today lies in our ability to recapture the revolutionary spirit and go out into a sometimes hostile world declaring eternal hostility to poverty, racism, and militarism.” The cowards cannot get behind the radical message, and they will not get there on their own; “there is a promised land” but don’t forget it was envisioned by Martin Luther King working for the Poor People’s Campaign, uniting poor Whites, Blacks, Natives, Latinx and many others. That’s the Martin Luther King Jr. coalition, not the Rep. Steven King segregated fan group. Wim Laven, syndicated by PeaceVoice, worked on reconstruction in Sri Lanka after the 2004 tsunami, is an instructor of Political Science and International Relations at Kennesaw State University, and on the Governing Council of the International Peace Research Association. The so-called Women’s March returns this week, with a rally in Washington and other events around the country. But don’t expect it to pack the same punch it did two years ago. When President Trump was being inaugurated, millions of women were concerned about what his presidency would mean for women like them and the direction of the country. The march organizers warned that his administration would roll back women’s rights, stall economic progress and dismantle the safety nets that protect vulnerable Americans. Today, people see that not only do women’s rights remain firmly intact, people’s lives are getting better now that wages are rising, more jobs are being created, employers are offering more benefits, and more people are starting their own businesses. The unemployment rate for women is just 3.8 percent; for Hispanics, it’s 4.4 percent; and 6.6 percent for African-Americans. Those are the lowest rates in decades. Wages rose 3.1 percent over the past year, which is the fastest pace of growth in a decade. Hundreds of thousands of workers who had previously given up on finding a job are now coming back into the labor market. No wonder consumer confidence remains at a strong 54 percent. Behind these statistics lie millions of stories of real people whose lives are getting better day by day. Not only do more people have more money in their pockets, so are able to take an overdue vacation or, fix the roof, but they also get to enjoy the tremendous feeling of optimism that comes with feeling that they are on the road to better times, that they are contributing to their communities and are needed by their employers, as well as by their families. This doesn’t mean that people are satisfied with the direction of our country. People remain deeply troubled by our vitriolic political discourse and with leaders who seem more interested in scoring political points than finding common ground. People are tired of the increasing coarseness, which may be exemplified by those raging on twitter, but spills into the media, our communities and homes. Yet the march isn’t protesting these worst angels of our nature. Rather, it seems to be another example of it. The women leading the march talk a lot about their desire for equality and inclusivity, but sadly too often fail to practice what they preach. In fact, around the country, individual Women’s March chapters have been canceling their events and individual members have been expressing disappointment with the march’s leadership, which seemed reluctant to denounce virulently anti-Semitic comments made by Louis Farrakhan and has been shown to have had a problem with antisemitism since its beginning. Today, the Women’s March has clarified its position and finally added Jewish women to the long list of identity groups that they claim to want to defend. They’ve also posted a lengthy position statement describing the policies and agenda that they will officially march to support, which show that this isn’t really a “women’s” march, but rather a rally to support a far-left progressive agenda of more expansive government regulation and redistribution. Millions of women who read the details of this agenda will conclude that this march isn’t for them. Even women who support the march’s policy agenda may not be comfortable with the rhetoric of the Women’s March, which paints our country as overwhelmingly sexist, overlooking the progress we have made and the opportunities that we have. That’s why other women are joining a more inclusive effort, called March for ALL Women, to reject the Women’s March’s divisive rhetoric. These women recognize that — while America is an imperfect place and more progress needs to be made to eradicate sexism and violence against women — we remain a country of tremendous promise. We aren’t a nation divided between two competing sexes. Men are our partners in making better a future, and women want their sons, husbands, brothers, fathers and friends to have good opportunities, just as they wish that for the women in their lives. Most women also don’t see people with different political views as enemies. Most want respectful debates about the paths forward for our country. They know that begins with each of us, listening to those with different views and treating each other with respect. That doesn’t begin with another angry march or profanity-filled protest. Some women may decide to march in Washington, but they aren’t marching for me. Carrie Lukas is president of Independent Women’s Forum. She wrote this for InsideSources.com.